Sean is the movie critic and columnist for The Salt Lake Tribune. Follow him on Twitter @moviecricket. "3,000 Cups of Tea" Trailer from Jennifer Jordan on Vimeo. A Utah filmmaking team is going to bat for an embattled author and activist — and taking on one of the titans of broadcast journalism. Married Salt Lake City filmmakers Jennifer Jordan and Jeff Rhoads last week launched a fund-raising campaign for their newest movie, "3000 Cups of Tea: The Mission and Madness of Greg Mortensen," an investigative documentary about Mortensen’s work establishing schools for girls in Pakistan and Afghanistan. A new documentary addresses allegations leveled by the television news magazine 60-Minutes and acclaimed author Jon Krakauer against philanthropist Greg Mortenson. Husband and wife filmmakers Jennifer Jordan and Jeff Rhoads of Skyline Ventures Productions announced Friday their plans to create a new project that explores the controversial fall from grace of the once beloved founder of the Central Asia Institute and the subject of the international best-selling book Three Cups of Tea. Salt Lake City - Thurs., March 13 — Award-winning journalist and filmmaker Jennifer Jordan today launched a fundraising campaign under the nonprofit umbrella of the Utah Film Center to complete production of her documentary, 3,000 Cups of Tea: The Mission and the Madness of Greg Mortenson. Academy award winner and multi-nominee, Geralyn White Dreyfous, is executive producer. The film's trailer poses the questions: Did the media, principally 60 Minutes, get it wrong in accusing Mortenson of fraud, mismanagement, and lying? If so, what are the consequences to the man, his mission, and the future of education for girls in Pakistan and Afghanistan, and what does it say about the state of American journalism? Did he lie in his international bestseller, Three Cups of Tea, about the genesis of building schools in remote northern Pakistan? Did he defraud donors to the Central Asia Institute by not building the schools he claimed he did? Did he spend lavishly on himself and his family while the children of Pakistan and Afghanistan went without their promised schools? On the recent trip, Jordan and her business partner and husband, cinematographer Jeff Rhoads, visited nearly two dozen villages and spoke to scores of people, including Maria Usman, the CBS Islamabad bureau chief and one of the producers of the 60 Minutes segment. 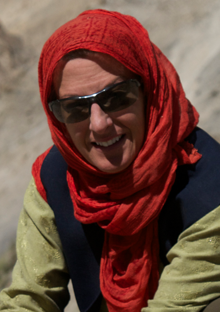 Jordan's interest in Mortenson began in 2000 when she made the first of two arduous journeys into base camp at the foot of K2 to research future books and shoot a documentary. "Those treks took us through several remote mountain villages in which there was often only one building with four plumb walls and a bright tin roof standing out among the mud and stone huts. The buildings were Central Asia Institute schools. "Having helped us with both of our expeditions through the fractious Northern Territories of Pakistan, Mortenson had become a friend and colleague. 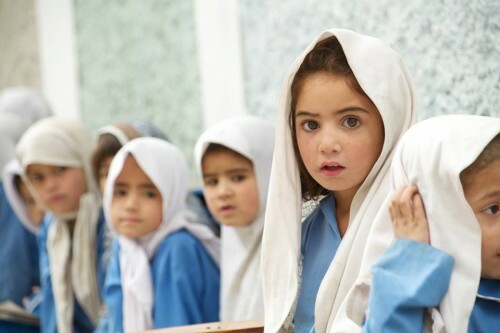 When he came to Salt Lake City only months after the attacks of 9-11, I interviewed him about his experience building schools for girls in the nexus of the Taliban and Al Qaeda's powerbase. "When I watched the 60 Minutes broadcast, it didn't match my experience of the man or what I had witnessed on the ground, so Jeff and I decided to launch our own investigation to see what had happened. What we have found is that this is a story worth telling - one of the world's most successful education philanthropists is taken down in 20 minutes by one of the world's most powerful news organizations. "I believe that our democracy depends on a free and viable Fourth Estate, keeping tabs on the first three. But that means journalists must be held to the highest standards of ethics and integrity. When we get it wrong, the consequences can be devastating. 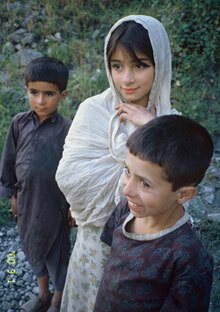 3,000 Cups of Tea: the Mission and the Madness of Greg Mortenson is the result of our investigation." Both Jordan and Rhoads have earned numerous awards for their work, and this film represents their second as partners, following National Geographic's Women of K2 in 2003. The film's executive producer, Geralyn White Dreyfous, is an Academy award winner and her films have earned an additional three nominations, including Best Documentary in 2014 for The Square. Said Dreyfous: "Having known and worked with Jennifer for 27 years and having heard of this film's progress every step of the way, I can say that it promises to be both shocking and thought-provoking. It is a story that needs telling by capable hands, and I am proud to be associated with its production." In making public the documentary's trailer, Jordan is launching a fundraising effort to finish the film. Under the 501(c)3 nonprofit umbrella of the Utah Film Center, they are able to accept tax-deductible donations. To donate and to learn more, visit: www.3000cupsoftea.org.